As appeared on Boscola Bulletin. The Redevelopment Assistance Capital Program (RACP) is a critical tool to help drive community and economic development throughout our Commonwealth. As is customary for this program, the number of worthwhile projects throughout the Commonwealth greatly exceed the amount of money available to fund them. The Lehigh Valley is no different. There are any number of excellent projects that are worthy of RACP assistance. This week, the Commonwealth announced a $1.5 million RACP grant for a critical economic development project in the Lehigh Valley, the further redevelopment of the former Crane Iron Works in Catasauqua, that will allow the Borough to move forward with the 2nd stage of the redevelopment of this previously abandoned industrial site. The grant will be used to prepare the site so that it can be developed into a mixed-use development through the demolition of remaining buildings and the installation of critical infrastructure needs that will make it suitable for private investment. 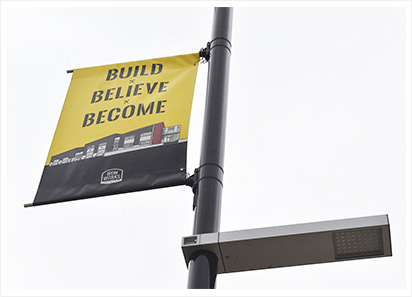 Catasauqua has invested substantially in this brownfield site as the first phase of the project was the completion of the new $10 million Catasauqua Municipal Complex, which is now home to the Borough offices as well as the Police and Fire Departments. Also announced were the awards of $400,000 in Historic Preservation Tax Credits for two important redevelopment projects in Bethlehem and Easton with total investment of over $15 million. The Historic Preservation Tax Credit Program is administered jointly by the state Department of Community and Economic Development and the Pennsylvania Historical & Museum Commission. In Bethlehem, Bethlehem-Adams LP was awarded $200,000 in tax credits to assist in the conversion of the former Lehigh Valley Cold Storage Co., on the City’s Southside, into 30 loft apartments and retail space called Brinker Lofts. It is a public private partnership project as Lehigh University owns the property and is being developed by Jefferson-Werner. Total cost of the project is $8 million. This five-story warehouse, located at 321 Adams Street, was originally built in 1893 by Adam Brinker, who was the President of Lehigh Valley Cold Storage. The warehouse manufactured ice and was used for cold storage, primarily for eggs. The site has been listed on the National Register and sits in the South Bethlehem Downtown Historic District. 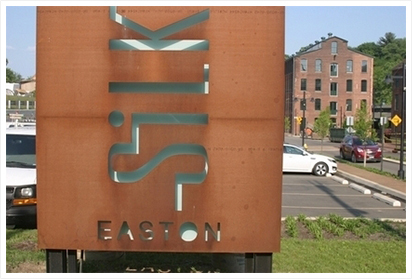 In Easton, the $7.6 million rehabilitation of the former R&H Simon Silk Mill, located at 13th Street and Bushkill Drive, was aided through the awarding of $200,000 in tax credits to Silk Development 2 LP. Also located on the National Register, the Simon Silk Mill is being developed into a mix of apartments, offices, restaurants and other commercial uses. Currently, a dozen business have opened in the complex along with a third of the proposed apartments. The Historic Preservation Tax Credit program has been a critical tool used by the Commonwealth to not only save significant cultural features but also leverage private development for projects that repurpose historical structures and revitalize local economies.